This character was originally composed of “刀”and “卜,” with “刀”the semantic part and “卜”both semantic (meaning “crack”) and phonetic. Later, it was composed of “刀”and “彔.” The original meaning of “to separate” has been extended as “to peel,” “to fall off,” “to pillage,” and others. Used on its own, it is pronounced bāo, but with another character it is pronounced bō. Tā yīnwèi tānwū shòuhuì bèi bōduó le zhèngzhì quánlì. He has been deprived of his political rights due to his corruption. Wǒ xiān qù zuòfàn, nǐ bāng wǒ bāo ge júzi ba. 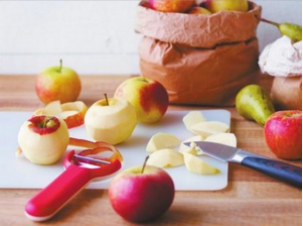 I am going to cook; please peel an apple for me. The benefits of learning another language aren’t limited to just getting by in another tongue. They may also extend to a host of hidden cognitive benefits that could protect your brain in the case of a serious health episode such as a stroke or dementia, according to a new study. Researchers from the UK and India gathered data from 608 stroke patients in Hyderabad, India, and found that people who speak more than one language have a greater chance to recover from a stroke than monolingual people. Bilingual people and those who speak more than two languages are said to be twice as likely to have normal cognitive functions after a stroke as monolingual people, even after taking into account other factors such as smoking, high blood pressure, diabetes and age. Previous research has also shown that bilingualism can delay the onset of Alzheimer’s disease. According to the researchers, the ongoing mental challenges involved with speaking more than one language may boost a person’s cognitive reserve, leading to an improved ability to cope with damage to the brain stemming from incidents like a stroke. Switching from one language to another offers practically constant brain training which may be a factor in helping stroke patients recover. It’s worth noting that the particularly impressive recovery results shown by patients in the study may be tied at least in part to the lingual characteristics of the area where the research was based. Hyderabad is a multicultural city that plays host to a wide range of different tongues, including Telugu, Urdu, Hindi, and English. As such, the ‘brain training’ people living in Hyderabad are exposed to and the theorised benefits resulting from it may not be replicated in equal measure elsewhere. Facebook CEO Mark Zuckerberg just had a baby girl named Max, and to honor the occasion he's giving away a massive portion of his wealth. The tech leader took to the social network Tuesday to announce the birth of his first child and the formation of the Chan Zuckerberg Initiative. 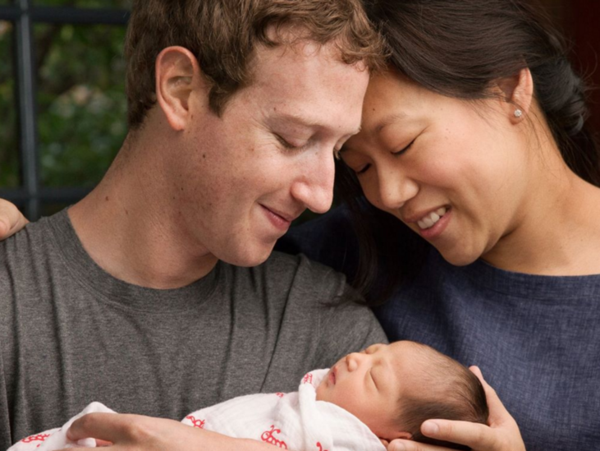 The announcement was framed as a letter written by Zuckerberg and wife, Priscilla Chan, to their new baby girl. "For your generation to live in a better world, there is so much more our generation can do," Zuckerberg wrote. "Today your mother and I are committing to spend our lives doing our small part to help solve these challenges." According to the Facebook head, the Chan Zuckerberg Initiative will focus on "personalized learning, curing disease, connecting people and building strong communities. Zuckerberg and Chan will donate nearly all of their Facebook stock to the cause. "We will give 99% of our Facebook shares -- currently about $45 billion -- during our lives to advance this mission," he wrote. "We know this is a small contribution compared to all the resources and talents of those already working on these issues. But we want to do what we can, working alongside many others." As Business Insider noted, Mark Zuckerberg signed the Giving Pledge in 2010, which meant he committed more than half of his wealth to philanthropy or charity. The Giving Pledge was started by Bill Gates and Warren Buffett -- which is suitable given that Zuckerberg has said that Gates was his hero. Zhè jǐ tiān tiānqì bǐjiào rè, zánmen mǎi tái diàoshàn ba. The weather is hot these days; what about buying a ceiling fan? Lóuqián yǒu yì tái diàochē, nǐ zǒu de shíhou xiǎoxīn yì diǎn. There is a crane in front of the building, so be careful when you leave. Zhè ge dìngyì wǒ háishì bú tài míngbai, nǐ zài bāng wǒ jiěshì yí xià ba. I am still confused about this definition; please explain it to me again. Tā yǐjīng juédìng qù yínháng gōngzuò le, fùmǔ dōu hěn zhīchí. She has decided to work in a bank, and her parents both support her. “煮熟的鸭子又飞了”means the duck has been cooked and can be eaten, but that for some reason the person fails to eat it. As a metaphor it means that a person has something in hand only to lose it. Jiǎ: Tā chàdiǎnr jiù dé guànjūn le, què zài zuìhòu yì jú zhōng shòushāng le. A: He almost won the championship, but was injured in the last round. Yǐ: Zhǔ shú de yāzi yòu fēi le, xīwàng míngnián tā néng rúyuànyĭcháng. B: He really dropped the ball. I hope he'll do better next year. Jiǎ: Zhè ge jiǎngxuéjīn yǐjīng dǎsuan gěi tā le, kěshì tā zhècì kǎoshì jìngrán zuòbì. A: The scholarship was waiting for him, but he cheated on the exam. Yǐ: Zhǔ shú de yāzi yòu fēi le, wǒmen háishì yīnggāi zūnshǒu xuéxiào de guīzhāng zhìdù. B: He sure dropped the ball. We should obey the rules and regulations at school. “只可意会，不可言传”refers to things, usually mysterious truths, that can be grasped with the heart but not expressed in words. 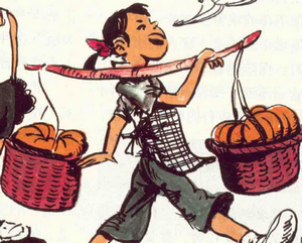 Jiǎ: Zhè fú yóuhuà dàodǐ shì shénme yìsi? Wǒ háishì bú tài míngbai. A: What is the meaning of this oil painting? I still don’t understand it. Yǐ: Zhǐ kě yìhuì, bù kě yánchuán. Nǐ duō yòng xīn xiǎngxiàng jiù néng míngbai le. B: It’s meant to be felt rather than expressed. To understand it you have to use your imagination. Jiǎ: Zhèxiē gǔdiǎn shīcí tài měi le, nǐ néng yòng xiàndài hànyǔ jiěshì yí xià ma? A: These classical poems are so beautiful; can you explain them in modern Chinese? Yǐ: Zhèxiē gǔdiǎn shīcí zhǐ kě yìhuì, bù kě yánchuán, xiàndài hànyǔ hěn nán jiěshì. B: They have to be felt rather than expressed. They're difficult to explain in modern Chinese. “只知其一，不知其二”means a person only understands part of a situation. It is usually used to refer to someone's limited understanding of something. Jiǎ: Wǒ juéde zánmen wánquán kěyǐ jùjué tā, bù xūyào dānxīn shénme. A: I think we can just refuse him without thinking too much about it. B: You have a one-sided view; there are many things we have to consider. Jiǎ: Tāmen liǎ kàn qǐlái fēicháng bānpèi, wèishénme hái méiyǒu jiéhūn? A: They look like a perfect match; why haven’t they married? Yǐ: Nǐ shì zhǐzhī qí yī, bù zhī qí èr, tāmen zhījiān yǒu hěnduō gùshì. B: Your view is one-sided; there's a lot that's gone on between them. The hassle of having to charge your smartphone for hours a day could become a thing of the past. British scientists have created a material that replaces the screen glass for phones, tablets and smartwatches, but uses no power – meaning they could be charged weekly. 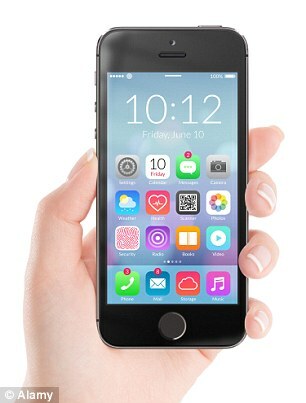 The discovery is significant because more than 90 per cent of a device’s battery power illuminates the screen. Technology firms have focused on improving battery life. But the British experts say tackling the main drain on a gadget’s power may give better results. Oxford University engineer Dr. Peiman Hosseini, who invented the material, told the Sunday Telegraph, “You have to charge smartwatches every night. But if you had smart glass, you could recharge it just once a week.” The innovation uses electrical pulses to create displays that require no power and can be viewed even in direct sunlight. Dr. Hosseini’s company, Bodle Technologies, hopes to have a prototype in a year. “This is the right moment to be an academic at Oxford,” Dr. Hosseini said. Battery life is seen as a major stumbling block for modern computing and technology. While the power of technology and lifestyle gadgets has improved exponentially in recent years, batteries have not kept pace. The success of smart watches, including Apple’s version, is thought to hinge on solving this problem - because few users are willing to charge a watch every day. Gadget firms are also desperate to solve the problem. Apple, for example, is investigating using fuel cells to power its phones and laptops, and this year was granted a patent for a system it claimed could power its devices for weeks. In 2012 US energy secretary Steven Chu called for a big push to improve batteries, challenging scientists to produce a battery with five times the capacity within five years. Aside from mobile gadgets, improving battery technology is seen as being key to the success of electric cars, which currently have a limited mileage before they must stop to be recharged. Sales of bacon and sausages at major supermarkets fell by £3 million in the two weeks after a World Health Organisation report said processed meat had the same cancer-causing risk as cigarettes. Sausage producers reacted furiously, pointing out that fresh British sausages would not be classified as processed meat according to the WHO’s own classifications. Northern Irish sausage producer Finnebrogue threatened to take legal action against the WHO over the report’s claims. This is the first time a government official has decided to adopt such outlandish measures to improve employee efficiency. It’s even stranger coming from Tuleyev, who is otherwise known as a tough, serious man. But he explained that he wanted a way to remind tax collectors of the importance of their job, and of bringing more money to the treasury. He is unhappy with their lackadaisical attitude, while smart businessmen find new loopholes to avoid paying taxes. Tuleyev is reported to have shared the idea during the budgetary meeting for the coming year. 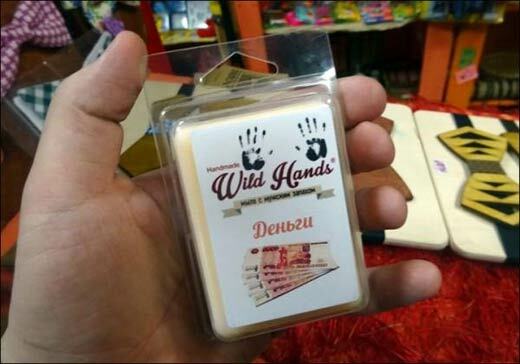 “There are different kinds of soap, and this is a special one with the aroma of crispy rubles,” he said, adding that it will remind employees of the necessity of collecting more money. In the past, Tuleyev was in the news for another interesting scheme – he offered free coal to citizens in exchange for losing weight, in an attempt to make them healthier! He's always the first to arrive through the school gates in the morning –and the last to leave. He’s always picked to answer the teacher’s questions and he’s always –without fail –top of the form. For Aron Anderson is, literally, in a class of his own – in fact, he’s the only pupil in his school. The ten-year-old is the sole student at what is arguably the most remote primary in Britain. Aron (whether he likes it or not) gets the undivided attention of his teacher, all the time. During the school day he has two classrooms, a craft room, music room and a library all to himself. And at break, he has the run of the entire playground with its slides, swings and basketball court. One problem, of course, is that although he loves football, there are no other pupils for him to have a kick-about with. Aron’s unique position also makes him one of the most expensively educated children in the UK. Aron’s father Ewan, 43, is a fisherman who spends days at a time at sea. His mother Denise, 46, helps in the island shop and heads the parent-teacher council. She is also a trained firefighter. 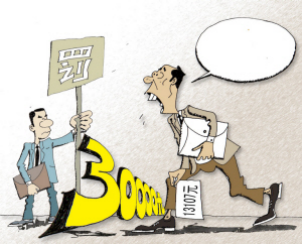 “也就是说”means that what a speaker is about to say is an elaboration of what he has just said. It is usually used to summarize a meaning or to put it into different words. Jiǎ: Zhè fèn gōngzuò tài lèi le, érqiě gōngzī yě bú shì hěn gāo. A: This job is tiring, and doesn’t pay that well. Yǐ: Yě jiùshì shuō, nǐ xiǎng huàn yí fèn qīngsōng de, gōngzī gāo yìxiē de gōngzuò. B: In other words, you want to get an easier job with a higher salary. Jiǎ: Wǒ juéde zhè suǒ dàxué de zōnghé shílì bǐjiào qiáng, érqiě lí jiā hái jìn. A: In my opinion, it’s a good university, and it’s also near your home. Yǐ: Yě jiùshì shuō, nǐ jiànyì wǒ xuǎnzé zhè suǒ dàxué. B: In other words, you think I should go there. “众所周知”means that what a speaker is about to say is a matter of general knowledge. It is not mysterious or abstruse. Jiǎ: Zhè jiàn shì zhǎo tā héshì ma? Wǒ yǒudiǎn dānxīn. A: Is it ok to contact him about this? I’m a little worried. Yǐ: Zhòng suǒ zhōuzhī, tā shì yí ge fēicháng kěkào de rén. B: Everyone knows that he’s a reliable person. Jiǎ: Zhòng suǒ zhōuzhī, kōngqì wūrǎn de zhǔyào yuányīn shì huàgōngchǎng hé jīdòng qìchē de qì tǐ pái fàng. A: Everyone knows that air pollution is caused by the gas emissions from chemical factories and motor cars. Yǐ: Kě bú shì ma, dànshì háiyǒu yì xiē rén shuō shì yīwèi qítā yuányīn. B: Yes, but some people still think there are other reasons. “真人不露相”usually refers to people who do not make a display of themselves. Now it also means that a wise person with real skills tends to be unwilling to show that he has them. Jiǎ: Nǐ tīng guo tā tán gāngqín méiyǒu? Tā tán de kě hǎo le. A: Have you heard him play piano? He plays really well. Yǐ: Wǒ jiù tīng guo yí cì, tā zǒngshì xǐhuan zhēnrén bú lòuxiàng. B: I only heard him once. He has a wise head but keeps his mouth closed. Jiǎ: Wǒ juéde tā yǒu diǎn bèn, zuò shénme shìqing dōu màntūntūn de. A: I think he is a little stupid; he always does things slowly. Yǐ: Tā kě yì diǎn dōu bú bèn, zhǐshì zhēnrén bú lòuxiàng. B: He is not stupid at all; he just has a wise head, and keeps his mouth closed. 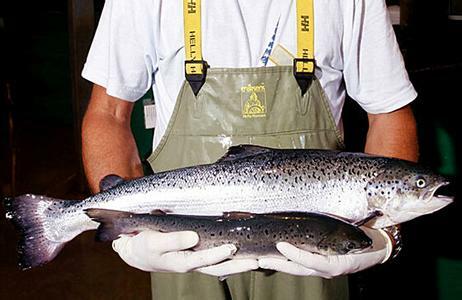 AquAdvantage Salmon was created by the Massachusetts-based company AquaBounty. RonStotish, the company's CEO, said in a statement that the fish is a "game changer that brings healthy and nutritious food to consumers in an environmentally responsible manner without damaging the ocean and other marine habitats." The fish grows twice as fast as normal salmon, so it reaches market size more quickly. It has an added growth hormone from the Pacific Chinook salmon that allows the fish to produce growth hormone all year long. The engineers were able to keep the hormone active by using another gene from an eel-like fish called an ocean pout that acts like an "on" switch for the hormone.Typical Atlantic salmon produce the growth hormone for only part of the year. The FDA has also said the fish is unlikely to harm the environment. The fish would be bred female and sterile, though a very small percentage might still be able to breed. The company has argued the potential for escape is low. There is no evidence that the foods would be unsafe, but for some people, it's an ethical issue. Some retailers have pledged not to sell the salmon, and it's still unclear whether the public will have an appetite for the fish if it is approved. Genetic engineering is already widely used for crops,but the government until now has not considered allowing the consumption of modified animals.Although the potential benefits and profits are huge, many people have qualms about manipulating the genetic code of other living creatures. Critics call the modified salmon a "franken fish." They worry that it could cause human allergies and the eventual decimation of the natural salmon population if it escapes and breeds in the wild.Others believe breeding engineered animals is an ethical issue. Users in the area are being alerted by Facebook’s mobile apps, asking them whether they are safe,and offering to check on any of their friends. The app has also been sending out alerts to anyone who has friends in Paris, and Facebook’s website lets anyone check on the status and whereabouts of their friends as well.